The Hostelling International network is a vast one, providing budget travellers with thousands of different accommodation options across the globe. Here are eight of the most unique and unusual. Sitting on the Pacific coastline some 25 miles south of San Francisco, Point Montara Lighthouse these days plays home to one of the highest-rated HI hostels in the world. It’s great for serious surfers – the famous Mavericks break is close by – and hiking and horseback riding are further options. Perks include movie nights and an outdoor BBQ area. 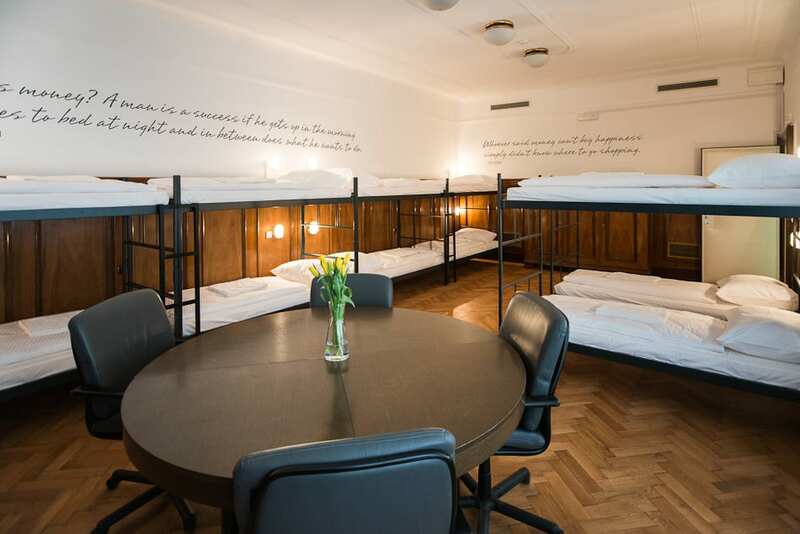 Set in a turn-of-the-century bank in the heart of Slovenia’s lovable capital city, the building has been transformed into a colourful, lively hostel with 28 different rooms, all of them named after world currencies. Dorms are located in the basement, occupying what was once the bank vault. Overall, a great base for exploring the sights and sounds of Ljubljana. An airport hostel with a difference, this renovated Boeing 747 jumbo jet comes equipped with dorms, private rooms and a café-bar – there’s even conference space on the upper flight deck. For a special occasion, book the double bed ensuite cockpit. The plane is based near Stockholm’s Arlanda Airport, and there’s a free shuttle bus to the check-in terminal. 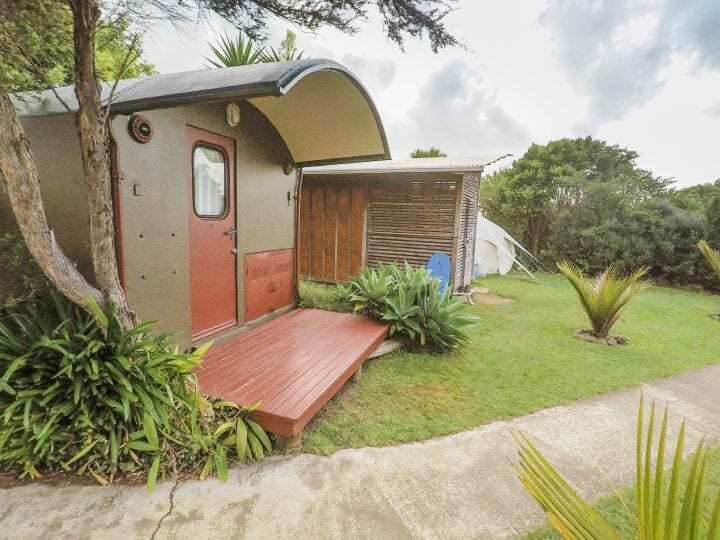 It doesn’t get much more idyllic than YHA Raglan situated on New Zealand’s magnificent west coast. Two hours south of Auckland, this chilled-out retreat’s focus on sustainable living offers the environmentally minded traveller a unique ‘off the grid’ experience with its Tipi Retreat or a slightly quirkier night in its recycled railway carriage. Throw in world-class surfing in Manu Bay on its literal doorstep or watching the sunset on the Tasman Sea and you’re onto an absolute winner. Locations don’t get much more idyllic than Australia’s Magnetic Island, 20 square miles of mountains and beaches on the Great Barrier Reef. The hostel itself fits right in with the tropical vibe, with hammocks, an open-air bar and private A-frame lodges. There’s even the chance to meet the local wildlife by booking a ticket for the hostel’s Koala Experience. Occupying what was once Carleton County Gaol, this Canadian hostel still boasts some of its original architecture. Those so inclined can even spend the night in authentic jail cells. There are free tours of the building every day at 11am, and ghost-hunters might enjoy the fact that it’s considered one of Canada’s most haunted sites. It has a good downtown location. Fancy feeling like royalty without paying over the odds? This 13th-century castle in the Dutch town of Heemskerk (northwest of Amsterdam) lets you do just that. This extraordinary hostel has 162 beds spread over the orangery and the castle itself, and there’s a turret bar for those travellers who fancy enjoying a beer or two in medieval surrounds. Water is everywhere you look in Stockholm – it’s part of an archipelago of 30,000 islands, after all – so it makes perfect sense to stay on a boat. And what a boat. The vessel itself is a full-rigged steel ship built in the 1880s, and circumnavigated the world several times before being permanently docked in the Swedish capital. It’s close to the Old Town. Remember: as a YHA member you automatically become a member of Hostelling International and get up to 10% off overnight stays globally. What are the rewards of hostelling overseas? I think the greatest reward of hostelling overseas is that you become part of the small international community of each hostel. Not only do you get to experience new cultures by travelling, but also through the conversations you have with new friends made in each hostel! Where’s next on your travel wish-list? My number one travel wish-list item has to be Burg Altena hostel in Germany. Not only is the hostel in a castle, but it was here that the history of the YHA and HI all began! As a huge hostel geek and a particular fan of the father of youth hostelling, Richard Schirrmann, this would be my dream hostel stay. How about closer to home? I really love YHA Bath. The history and architecture of the building, tucked away in such a beautiful and calm natural setting high up on the hills overlooking Bath makes the whole experience so peaceful!